Join Dr. Martha Herbert and HMI’s Jeff Goelitz for an informative discussion about autism. They talk about the latest research, common myths, controversies and common-sense strategies for helping parents, clinicians and educators relieve some of autism’s debilitating symptoms and helping children learn and flourish. Herbert, a prominent Harvard Medical School researcher and clinician who treated patients and analyzed scientific data for years, has a revolutionary view of autism. She says autism is not something that is hardwired into a child’s genes and remains forever, as parents often are told. 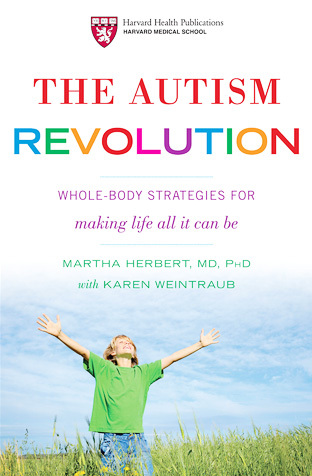 Rather, Herbert explains, autism is a series of challenges and many can be tackled deliberately and methodically. She recommends providing optimal nutrition, reducing toxic exposure, bolstering the immune system, reducing stress and promoting learning and creativity. Rethinking autism: a brain-body chemical imbalance, not a brain disorder. Autism’s rise amid increasing stress and environmental toxicity. Rejoicing in a child’s strengths and addressing vulnerabilities. Changing the autistic child’s environment.